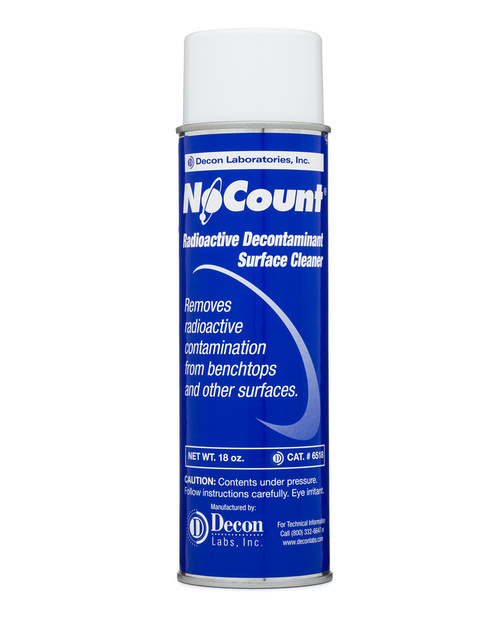 NoCount® aerosol spray removes radioactive contaminants from hard surfaces. NoCount’s foaming action helps to lift and trap particles so they can be easily wiped or rinsed away. Safe to use on all hard surfaces.